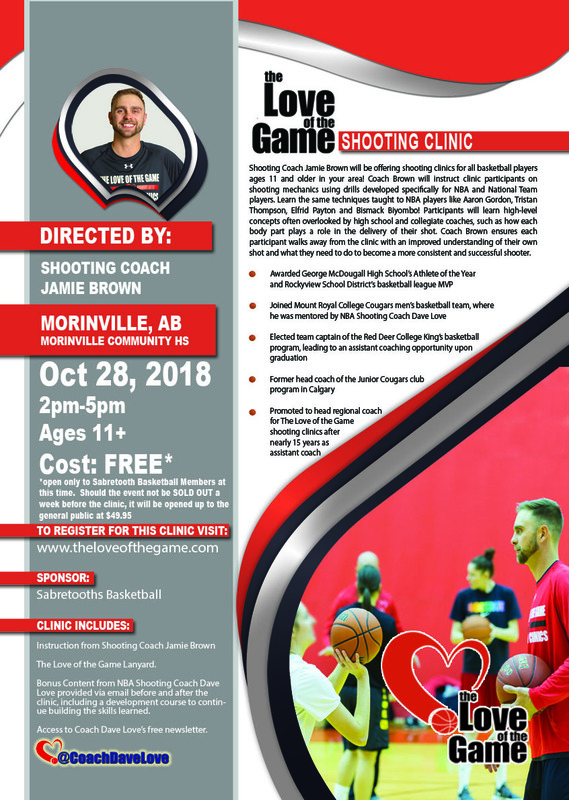 Led by coach Jamie Brown, who has assisted NBA shooting coach Dave Love for a number of years, this clinic will help players develop better shooting form and increased confidence in their shot. This clinic is open to all 2018-19 Sabretooths players in the Bantam, Midget, and Juvenile age categories, with the association covering the cost. There are a limited number of spots available for this clinic, so please register early.